In the near future, entrepreneurs who decide to start a business may be able to identify the most appropriate areas to place it. Students from Yachay Tech University developed a platform that compiles open data from legally constituted public and private institutions and companies, so it can be georeferenced and made available to anyone wishing to start new entrepreneurship or business. The platform’s name is INNOMAPS and its goal is to contribute to an improvement in the geolocation of small and medium-sized companies, in order to achieve a better distribution of business in cities. Students Nicolás Serrano, María José De la Torre, Romina Bermeo, and Leonardo Santiago are the ones who developed INNOMAPS. The project won the third edition of Hult Prize@Yachay Tech, a subsidiary of the international competition of university entrepreneurship held worldwide. It gave them the opportunity to compete in the regional finals in London, where they will seek for a spot at the finals in New York. The idea was born when the students identified the difficulty that members of their families had when setting up a business. Most entrepreneurs in Ecuador lack formal education in business, so finding a place for a business often becomes a difficult decision. The team identified this problem that entrepreneurs face in Ecuador, which, along with other factors, has resulted in businesses closing down after 2.5 years. This makes it impossible to sustain the investment and the possibility of staying throughout time. This way, the students decided to give entrepreneurs a tool so they can know where to place a business, along with other specific data about the georeferenced businesses, such as the type of company and address. The team also considered factors like roads and public transportation. 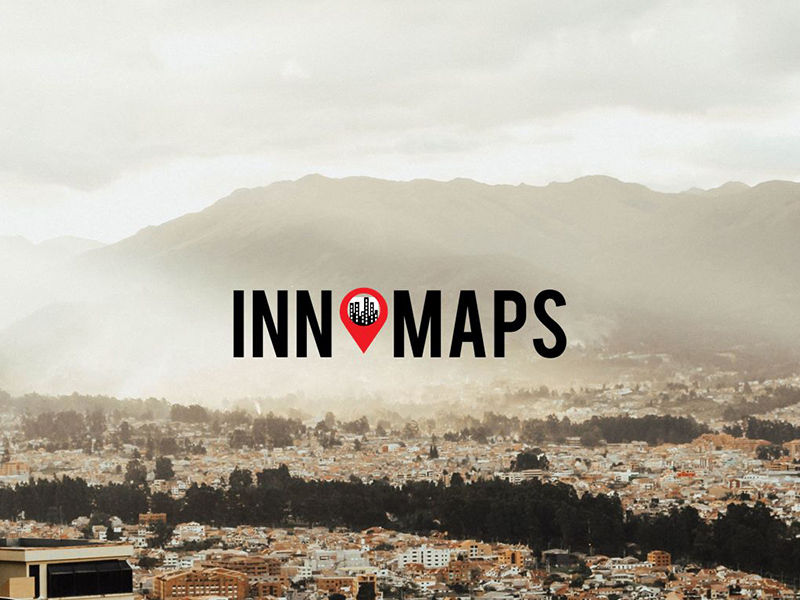 Currently, the INNOMAPS project is in the beta-version and continues the planned business model. Students expect to find people interested in investing capital to launch this application to the market.